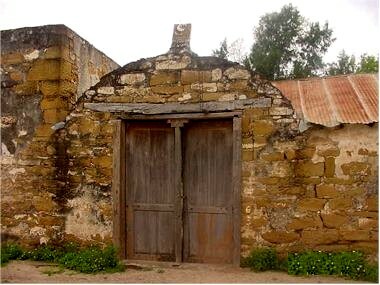 In 1830 Treviño built a sandstone home, known as Fort Treviño, 100 by 140 feet. José Villarreal placed a sundial at the home in 1851, set to Mexican time, thirty-six minutes ahead; the timepiece has become a tourist attraction. The fort was built. It was built in sections, started in 1830 by don Jesus Treviño, continued by don Blas Maria Uribe in 1850 and final construction and/or modifications by don Jose D. Uribe. Picture a room, eighteen foot by twenty foot built in 1830. 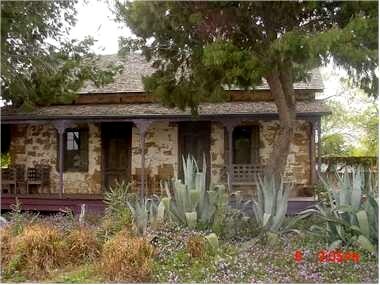 A large room started in 1850 and finished in 1851, built to the west, facing river, adjacent to original room. A second room and an open kitchen to the west of large room. This addition faces the river. Wall was built on south and east sides. Enclosure is approximate 120 feet by 100 feet. The latter room, open kitchen and wall were finished in 1854. 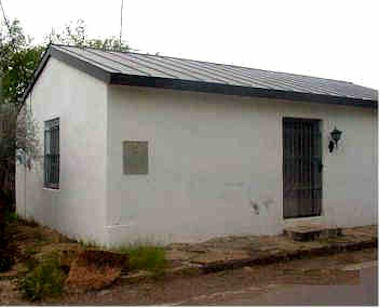 In 1870, a room was added to northeast section of fort and finished in 1871. Additions, improvements and repairs were done in late 1800 and early 1900 by Jose D. Uribe who in the end bought out his brothers and was sole owner of the fort. 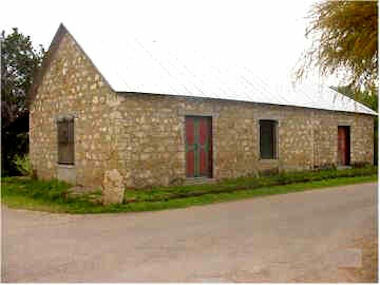 The San Ygnacio, Texas historic district had thirty-six stone buildings. The stones come from nearby rock formations. The exterior is finished with lime mixed with liquid squeezed from cactuses. Many have been refurbished as the one shown on the right. "This historic structure which served as a customs house from 1800 to 1869 is dedicated in honor and recognition of two centuries of service by men and women of the U.S. Customs Service. This, contribution and sacrifice, has played a significant role in the development of the United States of America and the protection of its citizens."